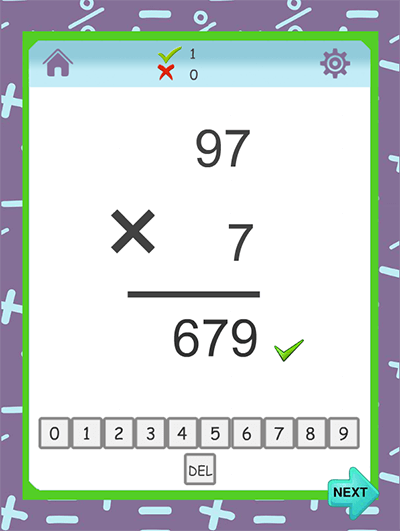 •	Practice addition, subtraction, multiplication and division by solving math equations at different game levels: 1-Digit, 2-Digit, 3-Digit number mathematical operations. 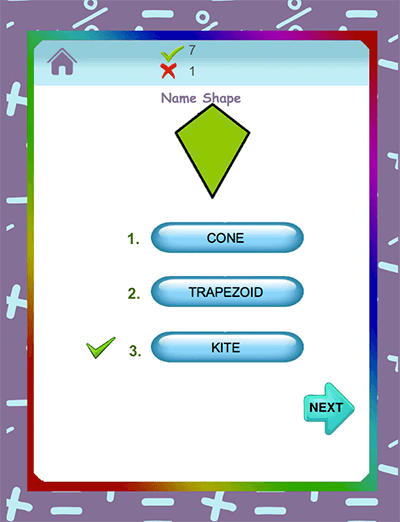 •	Learn different geometry shapes. 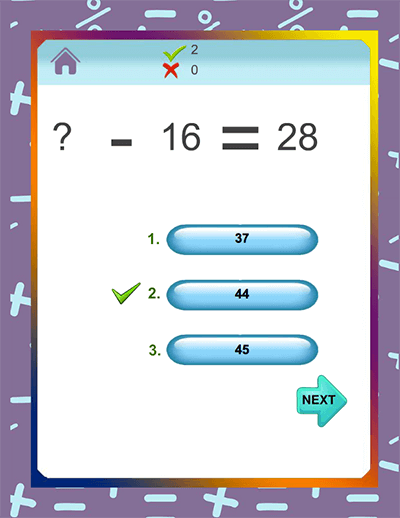 •	The more the kids use this application the more mastery they gain over problem solving. 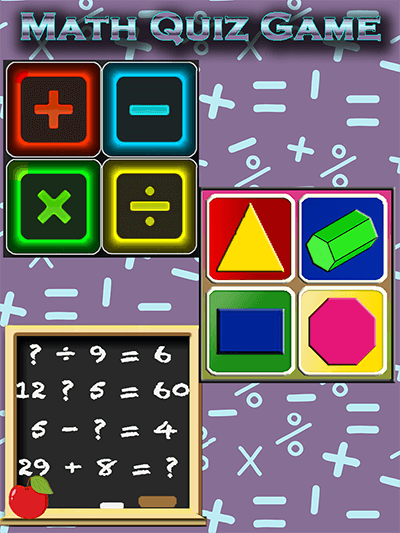 •	Enjoy the fun of mathematics by playing this math game. •	Endless trivia to grind your brain. •	Train your Brain to Improve IQ & Memory. Feature Best way to simultaneously learn and have fun! Learn and entertain your brain with this awesome and educational brain – builder!